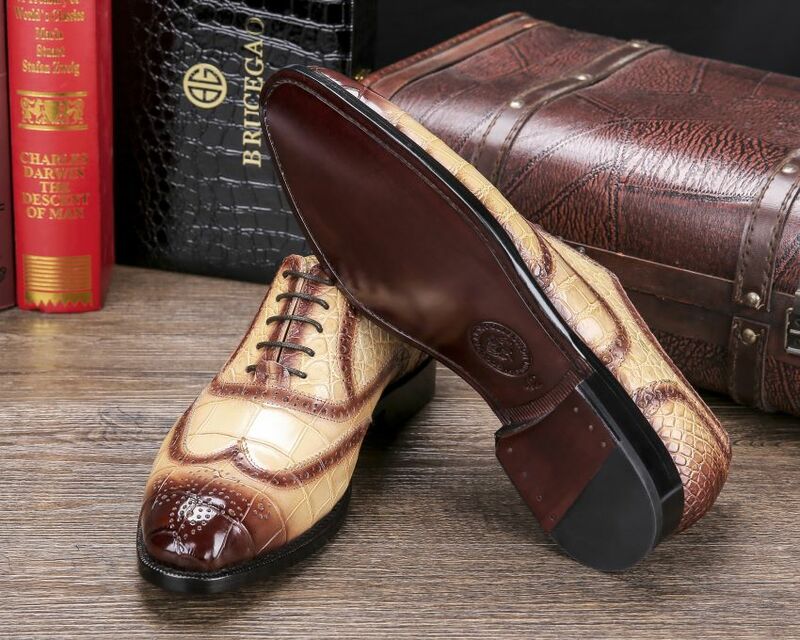 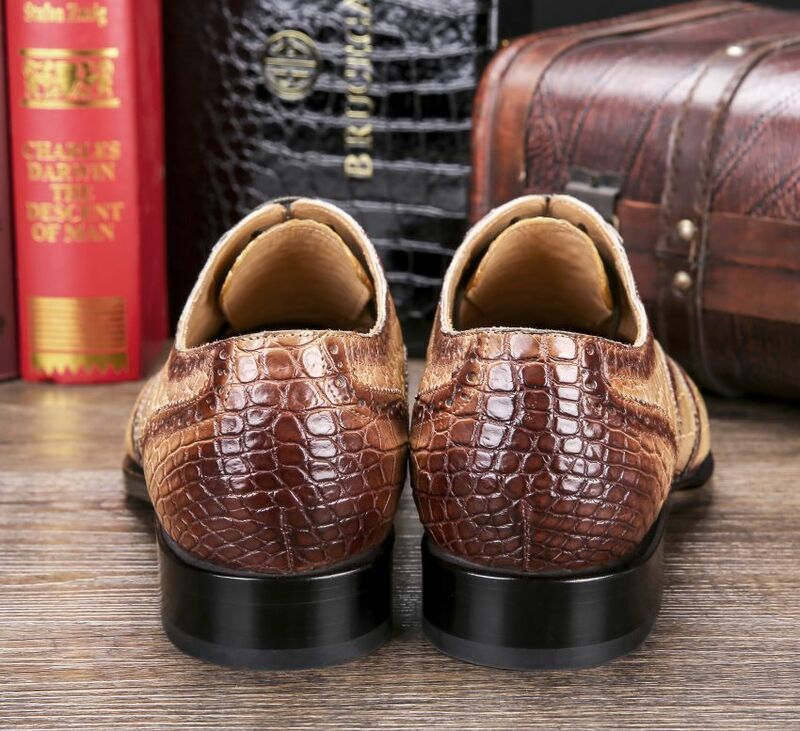 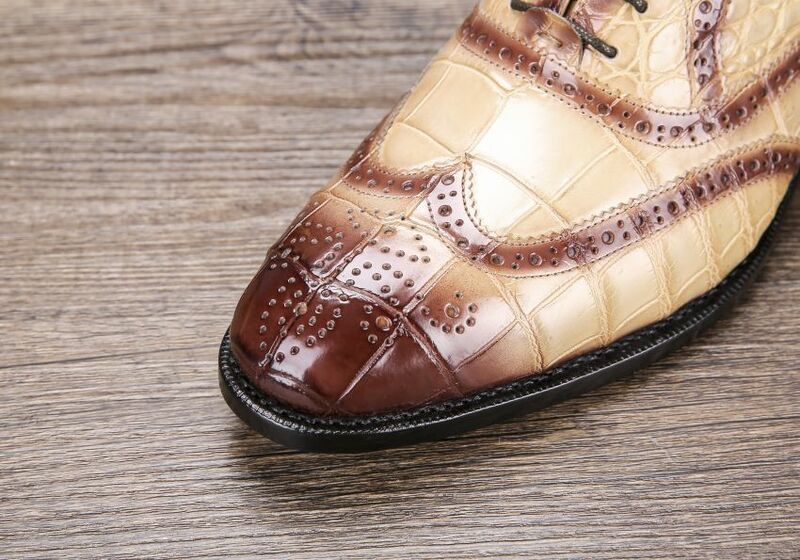 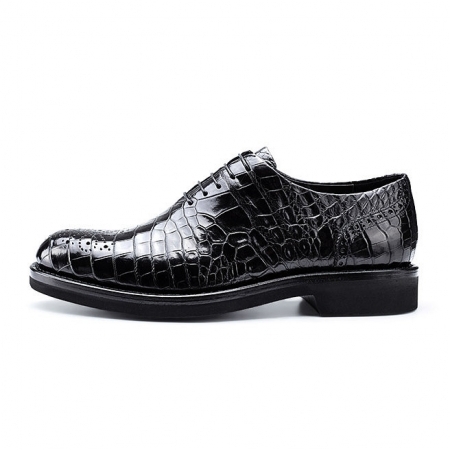 Perfect for wearing at work, this pair of alligator leather shoes has a beautiful perforated detailing at front. Combine it with any formal outfit to look good. 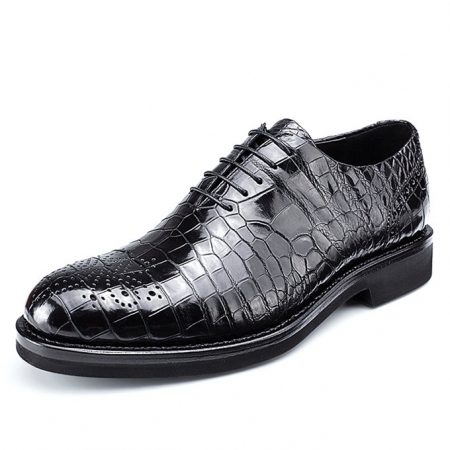 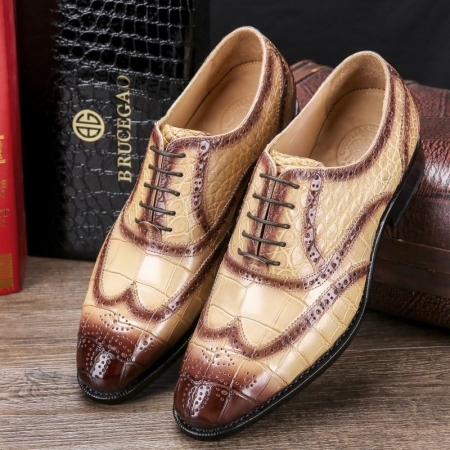 Leave a lasting impression at your office by wearing this pair of formal oxfords from the house BRUCEGAO. 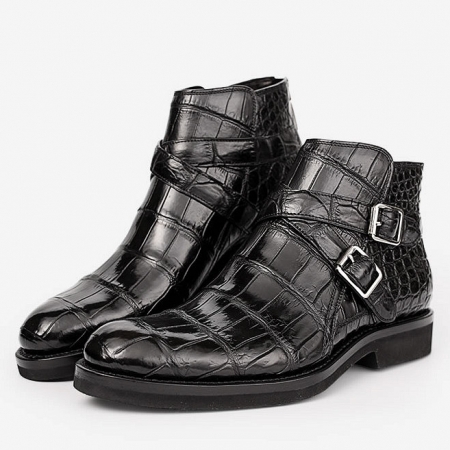 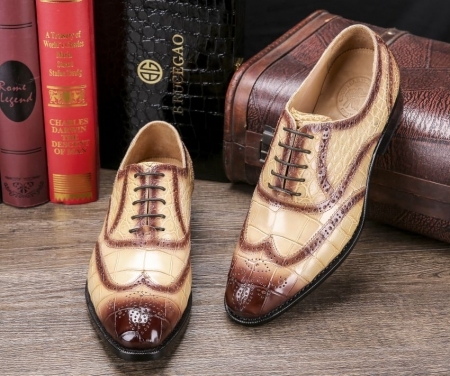 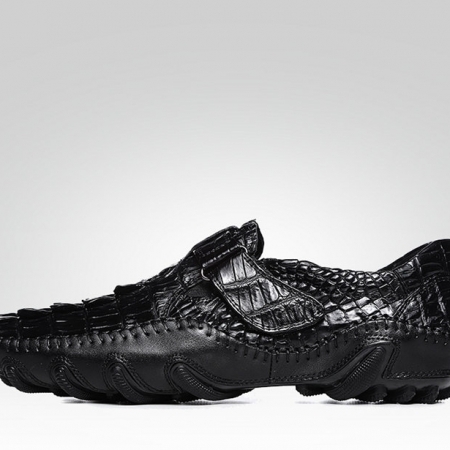 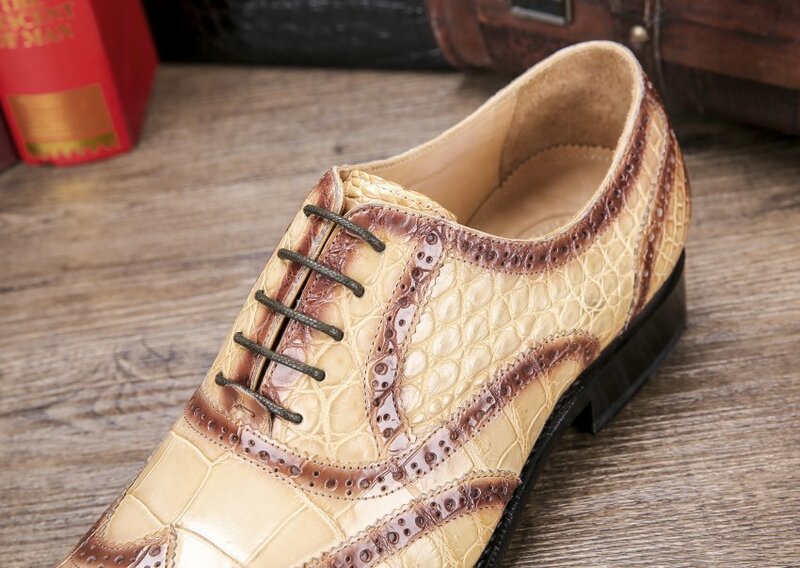 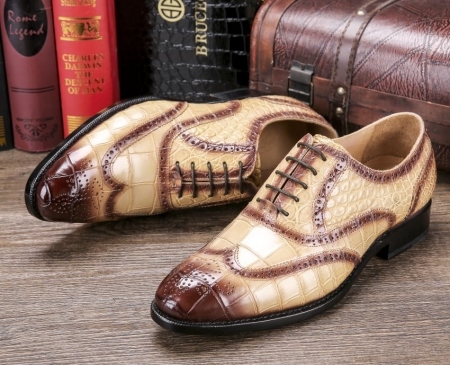 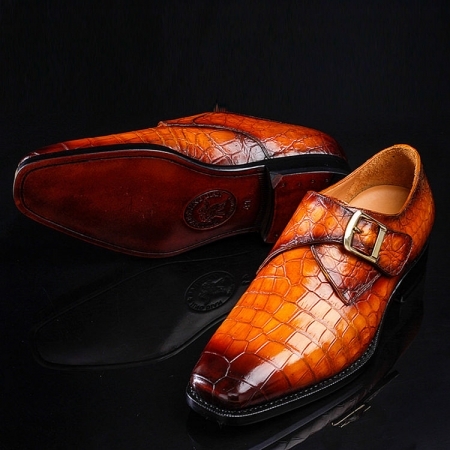 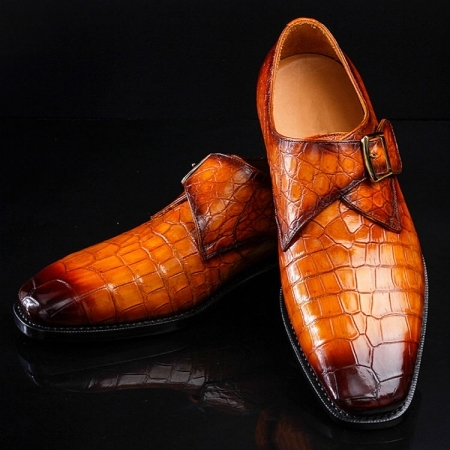 It is made of premium quality alligator leather that makes it quite comfortable to wear. 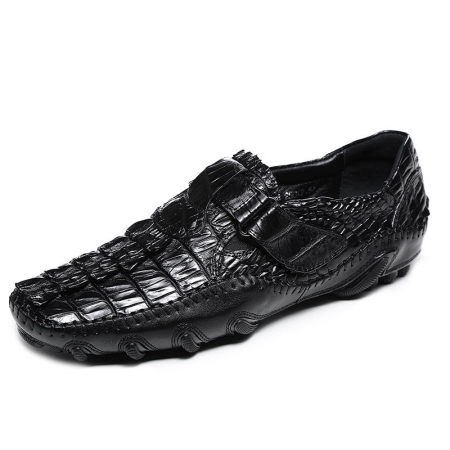 It comes with an intricate cutwork detailing at the front that renders it quite appealing. 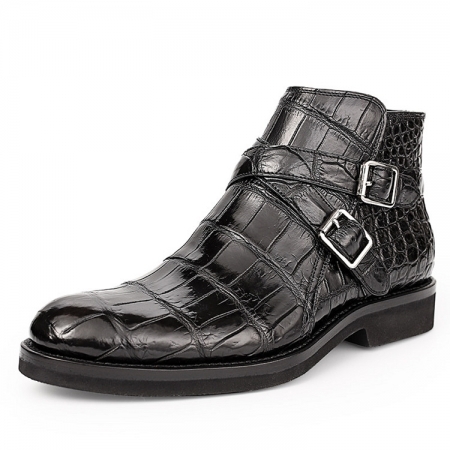 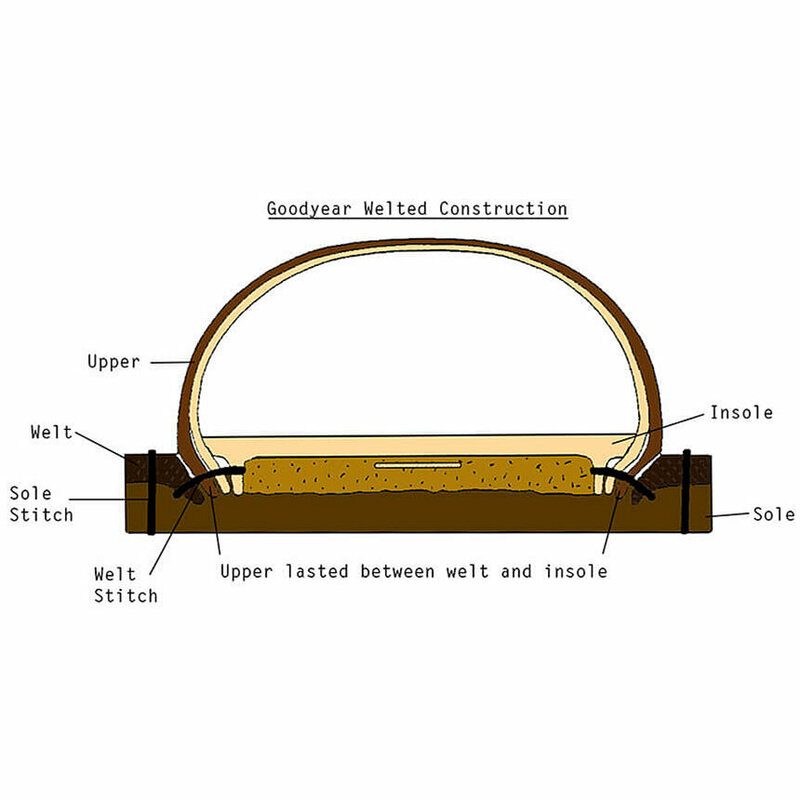 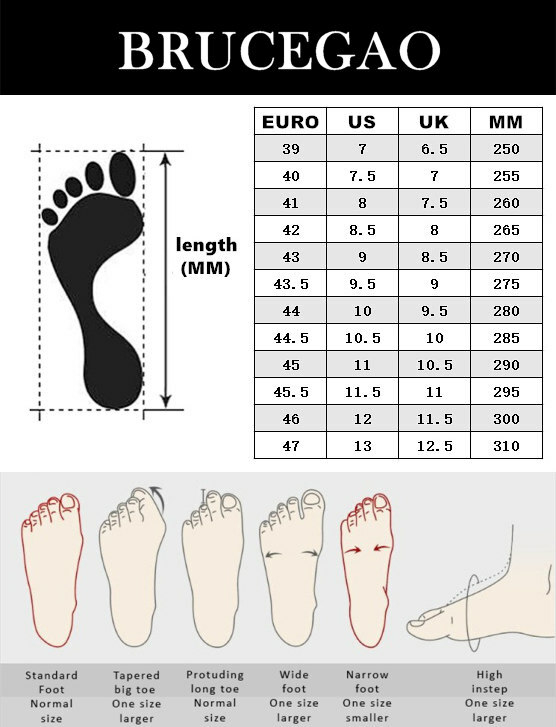 Besides, it features a lace up fastening, which promises to provide you with a snug fit.